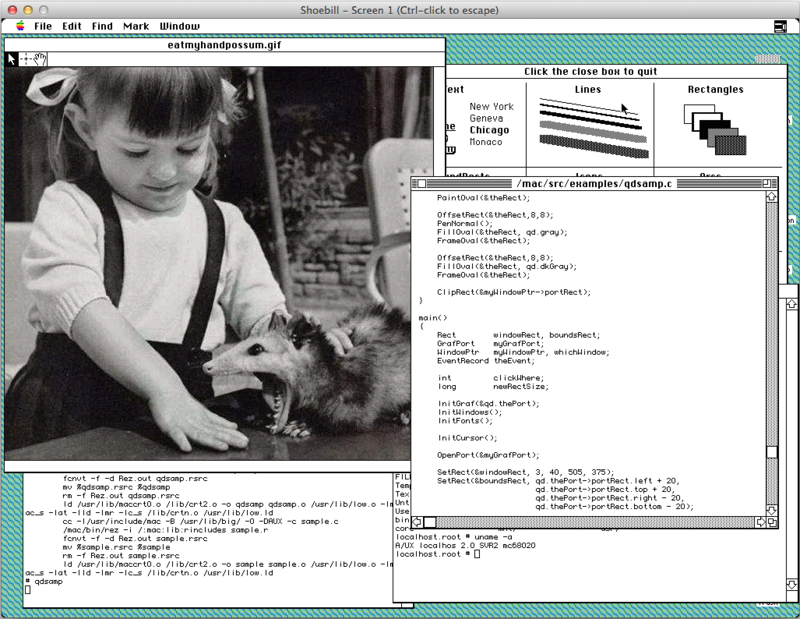 Continuing the Mac-on-Mac emulation theme, PPC Mac emulator SheepShaver has a new build available. There are still issues on both PPC and Intel host machines, and physical CDs aren’t currently mounting in the emulator on OS x 10.8 or later (although disk images work fine). Head over to E-Maculation for more details and a download link. Mini vMac version 3.3.3 is out of beta, with no changes from the build we reported on last time. Compared to 3.2.3, this release offers more efficient drawing (to display) and a raft of new features, fixes, and changes for non-Mac hosts. See here for a detailed breakdown of changes, or shoot over to the Mini vMac website for general details and a download link. 68k Mac emulator Basilisk II has a new build available for download, with performance improvements, a window-full screen toggle, a cursor-grabbing toggle, and support for sparsebundle disk images listed as the changes from previous Intel builds. Get it via the E-Maculation forums. You can now play Grim Fandango with a mouse. An enterprising modder hacked in a point-and-click interface to ResidualVM that replaces the game’s awful tank controls with something way more pleasant and familiar to use. If you haven’t played Grim Fandango, you should. It’s Double Fine founder Tim Schafer’s brilliant final adventure game for LucasArts, which is often held up as one of the best games of all time. We have a discussion thread about the mod and Grim Fandango on our forum, too. Work continues unabated on Java-based PSP emulator JPCSP. Revision 3461 is the latest build available at the time of writing, with recent changes appearing focused on graphics and error handling. See the JPCSP website for more details. PPSSPP, the current leading PSP emulator, has also been updated. Version 0.9.7 includes several scheduling and audio fixes, “large improvements” to the software renderer, fixes to some MPEG/video playback issues, symbol map/debugger improvements, and more, while 0.9.7.1 takes care of a drastic slowdown bug in a couple of games. There’s still no official Mac build, so you’ll have to head over to Karen/AngelXwind’s site to download it. DOSBox frontend Dapplegrey has been updated to version 4.2.4. This release seems to only change default behaviour of the app, rather than add new features of fix bugs. You can see a point-by-point changelog on MacUpdate, and there’s more information about the frontend on the Classics For X website. Open-source x86 virtualisation tool VirtualBox has a new maintenance release (as usual). Version 4.3.8 fixes loads of bugs in GUI, VMM, NAT, ACHI, and other areas. Check the changelog to see if anything catches your eye. Wine-based Windows wrapper tool CrossOver has been updated to version 13.1.0. This adds support for Quicken 2014, improves some translations, and…that’s about it, as far as I can tell. Click here for the announcement post, or shoot over to the CrossOver Mac website for information about the app. Version 3.9.3 of Atari 2600 emulator Stella has been released. This adds bankswitch schemes BF, BFSC, DF, DFSC, and 4KSC (I presume that means something to someone), updates ROM properties for several ROMs, and fixes a crash bug caused by specifying a bankswitch type that Stella doesn’t recognise. Get it from the official Stella site, and don’t forget to donate if you like it. MacFCEU, an NES/Famicom emulator for Classic Mac OS (System 7-9), has been updated to version 0.8a8. Changes include lower system requirements, bug fixes, better audio playback, and more. Get it from the MacFCEU SourceForge page, and see here for a list of recent changes. MSX emulator openMSX is now at version 0.10.0 — codenamed StillNotOne. It adds cycle-accurate VDP command engine timing, subdirectory support for directory-as-disk, and Neos MA-20 support. This release also includes improvements to the Catapult UI. Check out the release notes for a more detailed rundown of changes and bugfixes, or pop over to the openMSX website for a download link. The developers of Previous, an emulator for the NeXT computer, have been quietly working on major improvements to the CPU and FPU code. A news update on the emulator’s website states that version 0.4 should be out soon, and it’s actually partially functional now. We’ll keep you posted as things develop further. FS-UAE, a games and gamepad-focused Amiga emulator, has been updated to version 2.4.0. This adds multi-mouse support, new configuration options, SDL 2.0 support, and a host of improvements to the Launcher. See here for the release notes, or head to the FS-UAE website for more details and download links. ZX Spectrum emulator Fuse version 1.1.1.1 has been released. This knocks the minimum system requirement up to OS X 10.8, fixes kernel panic and sound loop bugs, restores support for playing emulator recordings, and restores support for competition mode emulator recordings. See here for the full changelog and a link to the download. There are no new stable releases of Dolphin to report, but the Nintendo Wii and Gamecube emulator has been under heavy development of late — with multiple new dev builds a day. You can get these, as always, from the Dolphin download page. Multi-system emulator Mednafen has reached version 0.9.33. This is considered an unstable release (they’ve dropped the WIP nomenclature), but it adds support for a number of cheating systems (like GameShark, Game Genie) on PS1, SNES, NES, and Game Boy, fixes a bunch of issues, and more. There’s a fairly detailed list of highlights on the announcement post. No Mac build at this stage, though, and we may not get one now that idyll has stepped down from that role. Arcade emulator Raine has been updated to version 0.63.4. This release has partial support for OpenGL (see the notes on the release page for details), and it still requires SDL. Multi-system emulator/frontend OpenEmu has been updated to version 1.0.2. New additions include a filter called pixellate and an option to hide the HUD bar during gameplay. It also has fixes for various crash and opening bugs. 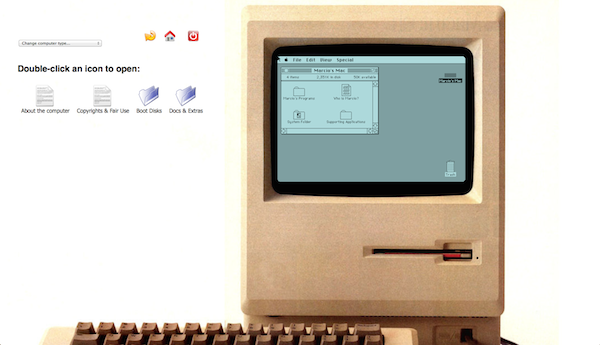 Get it from the OpenEmu website, and join the MacScene discussion on our forum. Got any news tips? Let us know on the forum. -You no longer need to supply your own kernel; Shoebill can read it directly from the root filesystem. For 0.0.3, I'll try to allow restarting without crashing, and see if I can get 3.0.1 to boot." Awesome! I'll put it in the new roundup, which I actually started three weeks ago and keep not quite finishing then needing to update with new news.